Strike the right chords. Elevate your desk to the next level. Best-in-class performance with stylish design. Digital programmable controller has a LED height readout and programmable memory buttons that lets you store four height positions of your choice. Switch between perfect sitting or standing heights with the press of a button. Modern stainless steel frame available in white and black colour. Designed for maximum structural integrity by having 3 lifting columns and dual electric motor. It features 120kg load capacity, while transitioning gracefully 38mm per second. 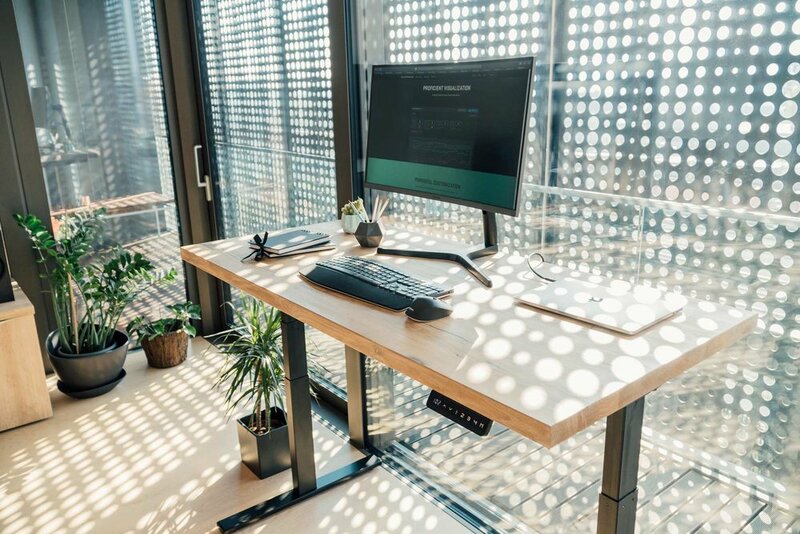 All standing desks move up and down. This crafty frame system also moves laterally. Capable of expanding from 1080 to 1800mm makes it perfect for a customised desktop of your choosing. Ergochord desk works flawlessly, without loud noise, lagging or shaking due to up/down movement. It's your space, your desk. Digital programmable controller remembers your perfect ergonomic positions. Upgrade your workstation. Moderation is key. Due to modern lifestyle people are increasingly more and more inactive and sit. Prolonged and coercive posture when sitting leads to unpleasant feelings and in the long term to many damages to health. Long-term sedentary work mainly affects the occurrence of spinal deformity, so it is important that preventive activities focus primarily on reducing seating time. Switching between sitting, walking, and standing at your desk is vital to your health. Moderation is key, and this is why we need height adjustable work stations in our lives. 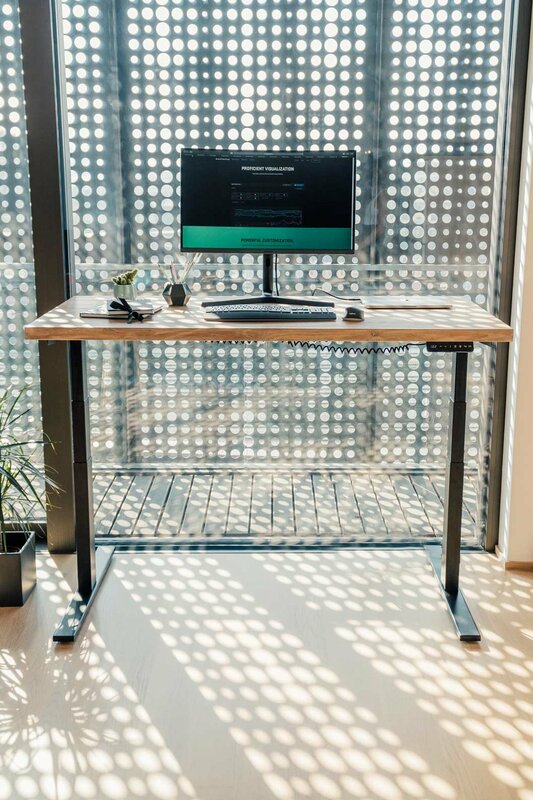 Ergochord desks are an effective way to avoid excessive sitting and improve working conditions - both at home and in the workplace. THIS MAY BE THE LAST DESK YOU'LL EVER NEED TO BUY. Adjust every detail and option. Get yourself a desk with an exceptional look and outstanding performance. Our desks are an embodiment of our great care for both working and living environment. Premium Slovenian wood, handcrafted by local carpenters, is ecologically treated using only natural protective oils and wax, making it resistant to spills, dirt and suitable for daily work. The surface feels good to the touch and smells exactly how healthy wood should smell like. For personalized aesthetic, we're offering a selection of natural wooden desks from materials like beech, oak and walnut. Ergochord desks are built to last. IT IS TIME TO BRING OUT THE WARMTH AND BEAUTY PROVIDED ONLY BY A REAL WOOD. Receive great tips on workplace ergonomics. First time subscribers get a 5% OFF!